Great spot for bikers, hikers and lovers of outdoors! Non-smoking home. This 4 bedroom, 3 full bathrooms, and sleeps 11 is the perfect retreat! On Burke Mountain with unforgettable views. 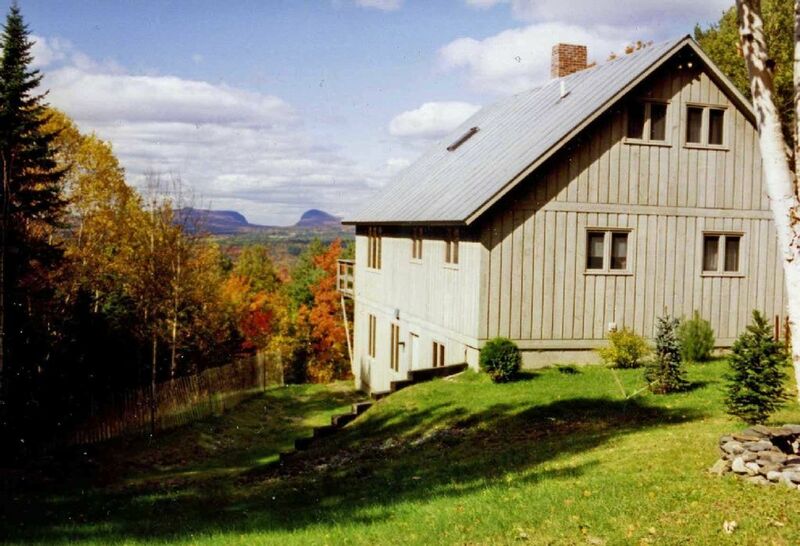 This home is on Burke Mountain, minutes away from the best mountain biking trails. It is also a great location for bird lovers and hikers. This 4 bedroom, 3 full bath home has a large great room with fireplace and open kitchen w/dishwasher. The master bedroom is on the main floor along with full bathroom and laundry. There is a loft with 2 bedrooms and a full bath and a pull out couch. Walk-out basement has 1 bedroom with two sets of bunk beds, full bath and a large room with a pool table and bar for entertainment. Great house for families. Very homey and welcoming; a home away from home. Linens and towels are included in this listing starting in 2019. This is a NO smoking home. My parents built this house as their dream home. This is where my mom and dad retired to in the 90's. Our family has enjoyed this house for years and continue to do so when we can. We are a family of five who have deep attachments to the house. We enjoy sharing this with our children. My mother still lives at the property. When she rents the home out she visits with family. During the winter months the house is often blocked for our family to enjoy. We enjoy sharing the home with others. It is our getaway and when we are unable to use the house we like to share our piece of paradise with others..
My parents decided to build the house on Burke Mountain because we all fell in love with the charm and beauty of the area. They thought the skiing at Burke was unique with the trails through the woods. When you arrive in the Northeast Kingdom you feel as you have stepped back in time. The people are friendly and there is a since of community. My mom lives up there in the house most of the year and she is well looked after from those living up there. Second time staying here - another great experience! Five adults (mountain bikers) stayed here for our second year in a row. The house is adjacent to Kingdom Trails - no need to use a car to get to trailheads. House is spacious yet cozy, also very clean. Wood-burning fireplace was a huge plus for the cold weather we had! Thank you! The house was perfect for our mountain biking group! We bring a large group to Burke every October to ride the trails and spend time together. The house was great for this. Large common area and nice big dining table that would hold all of us. The bunkroom is also nice for a big group. We loved the kitchen, which is VERY well outfitted! We cooked a whole traditional turkey dinner with no difficulty. Thanks to the owner for being very clear about bringing our own linens - which was fine. The shed outside is nice for bike storage. Couple of comments for the owner - I asked her if there were dishtowels and she said yes, but there was only one. And there seems to be a bit of an issue with smoke from the upstairs fireplace coming out of the basement wood stove (which we didn't use). Might be time to have the chimney inspected and/or cleaned. Otherwise no complaints, it really is a lovely home. Common area is a little smaller than some houses we've stayed in, but it didn't stop us from all hanging out together all weekend! Glad you had a great visit and enjoyed our home. The fireplace, wood stove and chimney are inspected and cleaned every year to ensure it is all set. When it is windy outside there are down drafts that do happen which blows smoke down. Sorry about the dish towels, we left multiple out last time we were up, I will have our cleaner get more out. Thank you for the comments! Everything was perfect in the house. The only negative thing is the carpet everywhere, it was bad for 2 allergic person in our group. Don't forget your linen, especially for the kitcheen. Glad you enjoyed your visit. We do clean the carpet a couple times a year. The house is noted to be a dog friendly house. There are also multiple pictures on line that shows carpets are in the house. There's a lot of space and the view is beautiful! Perfect location to enjoy Burke mountain bike trails. Luckily, we had antihistaminics with us, which was essential for those who suffer from allergies. There's carpet everywhere and trace of pets presence in rooms. Glad you enjoyed your stay. This property does state that it is pet friendly. There are also multiple pictures on line of the house that show carpets. Vraiment bien située dans la montagne. De plus, nous avions accès à la piscine de l'hotel situé à 2 min de la maison pour 5$/pers. Très chaleureux comme place ! House was perfect, location was just what we were looking for. Had a couple or rides up the summit, some trips to the KT systems, house was well stocked, we needed nothing. Having a place to put the bikes was a nice addition. Directions were crystal clear. Moonless star filled skies were straight out of a magazine. Hope to go back someday. Thank you so much and I am so happy you enjoyed the beauty of the area! Many outdoor activiities for the active people. Short ride to the Kingdom Trail System, Lake Willoughby, and rivers for fishing, swimming, and boating. Near St.Johnsbury. Located on Burke Mountain with access to the ski resort. Golf: Local golf courses are short drive. Ski: We are located for direct and easy access to the slopes!! !